Keeping your pool water clean and healthy is easy if you understand the basics. Here’s five key things you should know to avoid potential problems and get the best from your pool. Pool chemicals need to be evenly distributed if they are going to work most effectively. 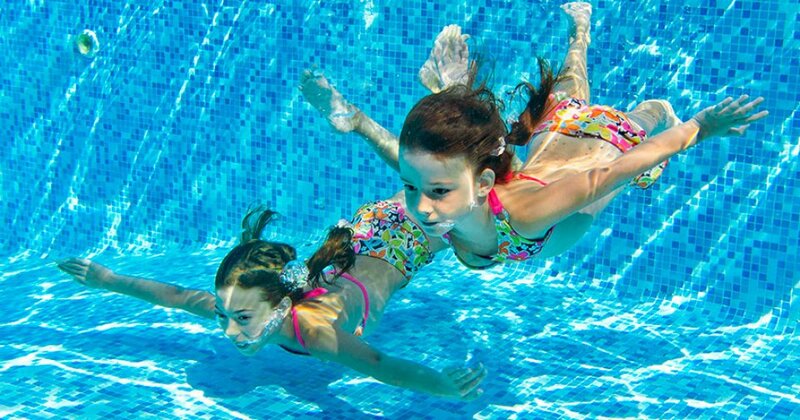 Circulate pool water for at least 12 hours a day during the swimming season. This will help keep bacteria and algae at bay. During the winter months you should run your filter for at least six hours a day. The filter is one of your pool’s most important components. It removes everything from microscopic matter to small, visible debris. But because it works so hard, it can become blocked by material trapped on or within it. Backwashing a sand filter (within your local water use guidelines) or cleaning a cartridge filter will remedy this, but filters also need to be chemically cleaned regularly to remove scale, oils and embedded debris. You might also need to pay extra attention to your filter after a heavy storm. Even with filtering, pools can have spots – such as corners or behind the ladder – where water circulation is not as good. As this can allow algae and bacteria to grow, the walls and floor of your pool need to be brushed and vacuumed at least weekly. Don’t become complacent just because you have an automatic chlorinator and use the right chemicals. Brushing is the best defence in these areas. Maintaining the right pool water balance means everyone will enjoy their swim more and you can maximise the protection provided by the products you use. The balance of your water is affected by the weather, product application and the number of people using your pool. It’s best to test your pool water once a week. You can also take a water sample to your BioGuard retailer at least once a month for a complete water analysis. Using the right products, in the right quantity and at the right time, is key to maintaining a healthy pool. It also guarantees swimmer comfort. A BioGuard retailer can give you a personalised maintenance program to take any guesswork out of caring for your pool water. Do you have a cloudy pool? Combined with these five steps, speak to your BioGuard retailer about BioLab Pool Tonic today. BioLab Pool Tonic is the remedy for the sick pool, removing Phosphate and at least 10 other unwanted contaminants for a stress-free pool.